There’s a special something about Kingdom Hearts. For years I’ve tried to put my finger on the definition of this something, but I’ve never come up with a satisfying answer. One thing I know for sure is that—personally—no other video game franchise has been so influential and thought-provoking as this one. A deceptive depth underlies its simplistic, Disney-esque feel. Its characters have grown on me—and almost grown up with me—to the point where I regard them as “old friends.” The lessons I’ve learned from this franchise as a whole can’t all be listed here, but I’d like to highlight some of them, none-the-less. They have touched my life and influenced my convictions, and for that I believe they deserve recognition. I want to highlight Xion in particular for this point. Xion’s story is easily the most heart-breaking in the franchise. She comes into existence as nothing more than a tool to further the Organization’s schemes. In the most literal sense of the word, Xion is a true “nobody”—a being who never really existed at all—just a physical embodiment of Sora’s memories. And yet Xion makes an impact on those closest to her—Roxas and Axel. These three form an unbreakable friendship—so strong, in fact, that Xion is willing to sacrifice her existence in order to see it protected. One of the most misunderstood scenes in 368/2 Days shows Roxas cradling a dying Xion. Just before her death, Roxas gasps out, “No! Xion… who else will I have icecream with?” Fans often joke about the naivety of this line, not realizing just how powerful it is. Xion has made such an impression on Roxas that, without her, Roxas can see only an empty hole in his life. Those simple memories of sharing icecream together on the clocktower have become more important to Roxas than anything else—his accomplishments, his standing in the Organization, even the truth about his existence, perhaps. After all, it was Xion that encouraged him to find the truth behind his unanswered questions. With her death, that encouragement has also ceased to exist. And yet, even whilst dormant in Roxas’ memories, Xion still manages to influence him. During Roxas’ final battle with Riku, Xion telepathically interacts with both combatants, ultimately setting her friend on a path to rejoining Sora and discovering his ultimate purpose. In the end, Xion lives on—in the heart of Roxas, which is truly the heart of Sora. Her influence helps to shape Roxas and grow him as a person. In this way, Xion is far more than a collection of embodied memories. She had more “heart” than most of the Organization. Her memory will forever linger in the mind of the one person that was closest to her. All that to say this: I find Xion highly inspirational. She stands out from the cast because she proves a powerful point—that everybody has a purpose… even if it seems that that individual was “never meant to be” or “never should have been.” Without Xion, Roxas would have probably never struck out on his destiny to rejoin Sora, and Axel may have developed in a dramatically different light—one that did not expand his heart and emotions quite so much. From the moment that Riku discovers the Darkness, he sets himself on a shadowy path to redemption. He stumbles between the Light that is his friends and the Darkness that lies buried in his heart. His personal journey is filled with self-regret, anger, and mistakes, and yet Riku never lets himself give up on reestablishing himself as a true friend to Sora and Kairi. 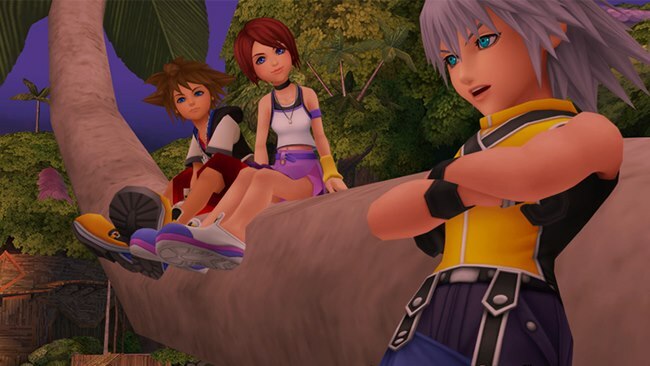 Looking at the latest installment in the series, Dream Drop Distance, it’s incredible to see Riku’s unwavering dedication to his friends—especially near the end, in which he takes up the Keyblade and goes to Sora’s aid. Looking at Riku’s early years, in which he openly humiliated, and even turned his Keyblade against, Sora, it’s difficult to believe that he’s even the same character. 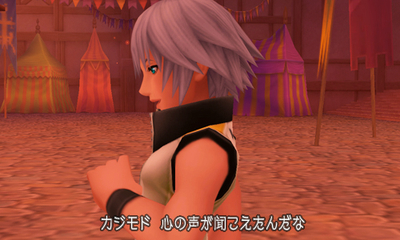 It’s obvious that Riku has regrets about tampering with the Darkness, but he accepts his past and moves on. By the end of the Mark of Mastery exam, Riku realizes that his future doesn’t have to reflect his past. Does he still struggle with Darkness? Of course. Xehanort’s Heartless seems to haunt his every step, and yet Riku acknowledges this as his personal demon and grows stronger each time he does battle with it. His heart eventually becomes so powerful that when Xehanort’s Heartless approaches him for the final time, Riku is able to ward him off, simply by raising his Keyblade. In the end, his mistakes and his painful road to redemption give him a quiet strength that even Sora cannot understand, having never gone through the same experiences. Riku is my favorite character for this very reason—he is relatable. I’m sure that, like me, a lot of fans look to him as a beacon of hope—that no matter the opposition, it can be overcome; no matter what the past holds, it does not have to dictate the future. Each day is a new opportunity to set things right. Each opportunity is a challenge to grow. Each growing pain makes you stronger as an individual. Sora’s name has all but become synonymous with naivety, and yet a closer inspection of his seemingly reckless behavior reveals something much deeper beneath the surface: trust. No matter who Sora encounters—whether it be angsty Neku or imperiled Alice—his automatic response is always either: “Can I help?” or “Let’s be friends!” Sometimes it’s both. In the same mouthful. This default trust is shocking, especially when you consider the amount of deception that Sora has encountered in his lifetime. In Kingdom Hearts, Riku—his best friend—betrays and fights against him. 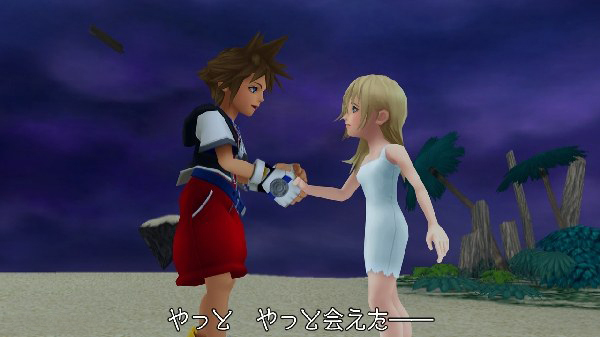 In Chain of Memories, Sora learns that Namine has been deceiving him all along, and yet he still chooses to protect her at the risk of his memory being lost. Unlike Roxas, who experienced similar deceptions his entire life, Sora never loses his faith in others. I believe that the answer to this miraculous trust lies in the fact that Sora holds deep-rooted friendships with those that he meets. He stands on a belief that a true friend is someone that you can trust unconditionally—and accept unconditionally. In that light, Sora finds it easy to trust and even easier to forgive a fault. It is because of characters like Sora that I’ve begun to give others more trust and more benefit of the doubt. I hold a faith in my friends that says, “I trust you because you’ve never given me reason to doubt.” But, like Sora, I also understand that we are all imperfect human-beings. Forgiveness is a necessary ingredient, and it is certainly the fastest way to mend a broken or strained relationship. Kingdom Hearts is full of love, although if you’re searching for it in a romantic sense, you’ll be looking in all the wrong places. Let me clear up my definition of love in order to explain this point. By my definition of love, I mean a selfless, unconditional, accepting love—not a boyfriend/girlfriend romancey-kind-of love. In Kingdom Hearts, this kind of love fills the game. When Sora proclaims that, “I don’t need a weapon. My friends are my power!” he’s speaking of this unbreakable bond of love that he shares with them. Sora realizes, long before any other characters does, that the power of love is stronger than the Keyblade itself. Through his concern—his love—for his friends, Sora is able to heal the mental and emotional wounds of many characters, and even aid in the redemption of Axel and Riku. Though a mighty weapon, the Keyblade could never perform such acts. The power of love presents itself in the father/son relationship that exists between Terra and Master Eraqus in Birth by Sleep. Although we are told little about either characters’ pasts, it is quite clear that Terra views the Master as his own father, even going so far as to call him such during his final battle with Xehanort. Perhaps Terra was an orphan, brought in—like Ventus—to Eraqus’ care when he was young. Whatever the terms of their first meeting, the results were magnetic. Unfortunately, Eraqus suffered from excessive worry and lack of trust, having been betrayed by his friend Xehanort in the past. This fear leads to his strict aversion of Darkness and an almost scrutinizing surveillance of Terra the moment that his pupil shows outer signs of his inner Darkness. 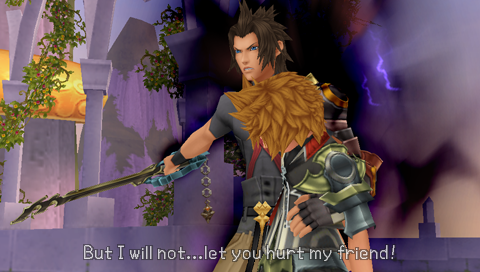 Though his love for Terra never comes into question, Eraqus’ fears eventually lead to a severe misunderstanding and a deadly Keyblade battle with Terra, in which Eraqus is mortally wounded. As the Master’s life fades away, a strange phenomenon occurs. Both Terra and Eraqus simultaneously come to terms with each other, recognizing their personal faults and silently asking the others’ forgiveness. After Terra’s own demise at the hands of Xehanort, his heart proves stronger than the evil one thought possible. It soon becomes apparent that someone new is residing in the former pupil’s heart—Master Eraqus. Even in death—even in the face of personal failure—Terra and Eraqus never lose the love that they have for each other. It is this act of love that gives Terra the strength to face years of helplessness, imprisoned in the confines of Xehanort’s dark existence. With those words—and only the spirit of his beloved Master to guide him—Terra prepares for the battle ahead. He knows that he can win. The power of love has shown him that. I am a strong believer in “overcoming evil with good” through the power of love, and Kingdom Hearts has served to reinforce this theory in my mind. No matter the fault and no matter the wound, love cures and makes right. Even the most wicked evils do not stand a chance in the face of it. I thought it would be appropriate to close with this point, as it is one of the strongest underlying themes of the series: we are all a part of each other, and together we form something greater. “The three of us will always be one,” says Aqua, and even when she, Ventus, and Terra, are separated by death, Darkness, and deception, they never lose sight of this belief. This undying legacy creates a sort of immortality for the individual. It gives him purpose and assures him that—even in the most trying of times—he or she is never alone. The minds and hearts of his friends are ever with him, and, because of that, he has nothing to fear. In almost every Kingdom Hearts game, the main characters become separated from each other—forcefully or otherwise—for an extended period of time. Yet, throughout this separation, they never forget that they are together in spirit. Sora first realizes this after his reunion with Kairi, “I looked everywhere for you, but you were with me all along,” he says. For me, this has served as a reminder to influence carefully. With each contact I make, I am—in some way—shaping each person I meet, and I want to shape them (or become a part of them) in only a positive way. Understanding this concept brings a huge responsibility into focus. I can say with certainty that Kingdom Hearts has given me a lot to chew on in this particular area. More importantly though, I have been reminded that I’m never truly alone. I have people and friends who I have impressed and been impressed upon… People who care about me and want the best for me. People that I can open my heart to, or simply sit on a clocktower and eat some Seasalt icecream alongside. It’s a good feeling, and it’s truly comforting to know that you’ve made a difference in someone’s life, just because you were in it. …But most of all, perhaps, I owe Kingdom Hearts for simply being a part of my life. It’s taught me lessons about friendship, purpose, destiny, and love that I will never forget. Guys, don't be afraid to post the things you learned from Kingdom Hearts as well! Great, great article. It really encompassed all of the reasons I love KH, and it reminds me just how much the series has taught me. I think my favorite parts of this article have to be the Sora part, the Xion segment, and the Eraqus/Terra paragraph. With not going into too much detail with the first, you highlighted all of the reasons I love and respect Sora so much. He is my favorite character for all the things you said, and why most people would dislike him for not being more cautious, I admire him for his ability to believe in people. The Eraqus/Terra segment was also done very, very well and I was pleased to see you touched upon it (as I don't think most people would). Not only does it show us there is some family love in the series, but also that they do have an unconditional, platonic love, and that even in their last moments... they're able to work everything out with each other. As for the Xion part of this editorial... Thank you so much, truly. As someone that loves Days and Xion, it's disheartening to see how much hate the two get. In my opinion, the Days trio is the best and most developed in the series, and to that end, Xion's imprinted on me very much. I just think a lot of people don't give her character arc a lot of thought. She was someone completely new to the world, who didn't know anything, but by the end of it sacrifices everything for her friends, because she's come to understand the world and her place in it. As you said in this article, I think Xion's sacrifice truly is the saddest of the series, seeing as how nobody remembers her, and that all three lost the thing they valued most: their friendship. But also... just seeing how far Xion grows in the span of one game, becoming the most selfless person in the series to me, is amazing to me. And for all of this, I think it is the Days lessons I cherish, and hold the closest to my heart. 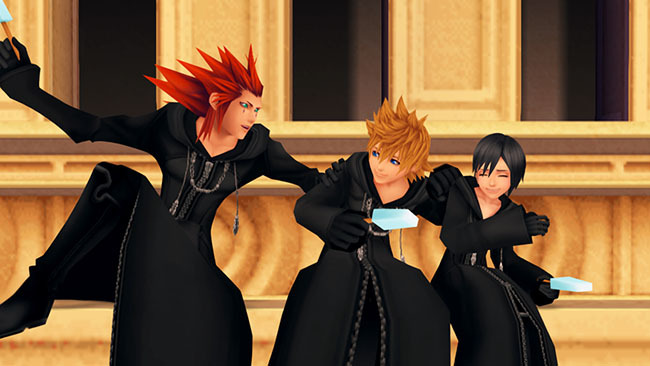 Especially in remembering, as you said, that even though Roxas and Axel can’t see Xion there, she’s still in her friend’ hearts (perhaps via the stick scene in KH2, etc.). Cutsceneaddict, I truly thank you for this article. It was written splendidly, and was truly a great read. And seeing light shone on Days and Xion reminds me of just why I love both, even when the haters begin to get to me. Thank you. Now, for reasons I can't account for, this little guy (made of nothing but scraps) affected people. "He" affected me. I was supposed to auction him off in our year-end art show, but part of me didn't want to. It's not because I worked hard to created "him", it felt more like I was saying goodbye to this new friend I had made. It seems ridiculous when I say it, but less-so when I realize "he" had the same effect on others. When it came to the auction, there was a bidding war. Someone I had never met wanted this little robot badly. For what reason? It wasn't valuable. It didn't serve a useful function. And yet, for some reason, this person was genuinely upset when they were outbid. The people with the winning bid were happy. They named "him". They even had a live portrait done with them holding "him". Somehow, this collaboration of household junk turned into something more. It became a being. It gained a heart. It's true, anything can gain a heart. Whether it's a musical instrument's first note to make someone smile or shed a tear; a family home who's experienced your life with you, sheltered you from weather; or a favorite pair of jeans that have been through as many bad situations or great adventures as you have, hearts are not bound to the living, they dwell inside anything that gives and receives love. Anywho, that's my sappy story. That was seriously one of my favorite KH articles ever. After reading this, I have a totally new perspective of the series. All these lessons that you bring up can be applied in real life perfectly. Xion's life was truly full of sadness, but I love how you talked about the impact that even someone like her can have on someone like Roxas and Axel. Also, everyone is always haunted by their past, even I'm not proud of some stuff I've done in the past. Riku is the perfect example of the things that we've done in our past, but they can be rewritten by what we do today and in the future. Your third lesson brings up funny story, that when I was little I played KH and I saw that Sora was nice to everyone, even complete strangers. Ever since then, I've been nice to everyone I meet, and its brought up a lot of positive results! I don't even need to talk about the power of the love in friendship, because you summed it up perfectly. This is without a doubt an awesome article that explains truly what the KH series is about. Numbers 2 and 3 are the ones I agree with the strongest. Not so sure about the others. of course it's a good read. I. Love. This. So. Much. Seriously. Especially your point about Riku; he's definitely my favorite character for the same reason, and seeing that kind of character development is part of what makes this series so powerful. All of the points you made were wonderful. Thank you for writing this. Very nicely written. I also like how you've given Xion she kinda deserves. I do like her for what she is. People who're saying she didn't need to be there: thing is, her whole character is based off of that premise, she was never meant to exist. And even then, she had a big impact on the story. I agree with the OP that that fact alone is pretty inspirational. Actually, to be quite honest, the OP has revived the spark I had when playing the first KH game. It felt so.. magical, I guess? I felt it was a bit absent in the most recent titles but I think I was wrong. There are a lot of subtle themes/meanings that I didn't even think about before reading the OP. [FONT=Verdana]@[/FONT]:::A Hex Torn::: Thathas to be one of the most meaningful and inspirational stories I've ever read.Just looking at a pic of the robot warms my heart, so I can clearly understandwhat you mean:) And though I've always thought what you so beautifullyillustrated here, myself… I had no words to convey it myself—nor examples toprovide of it—so I thank you for posting this here, and showing that anything/everythingcan have a heart and meaning, by the influence they give and receive. Anyway, like everyone else has said, this was a really great read. Editorials like this are great as they really make us think about the overall theme(s) of each Kingdom Hearts game and how strong, yet subtle a lot of them are. I'm sure a lot of people never looked at the scene from Blank Points, with Terra speaking with Xehanort, that way before. Yet when really looking at them and observing how things connect in the KH universe, it makes sense. [FONT=Verdana]Anywho, that's my sappy story. With school and work consuming my every waking moment, I haven't had any time to reflect upon my life. Things have been discouraging for me lately, and reading this literally stopped my busy day to do just this. Reflect. We all live our busy lives whether its school, work, or whatever, and forget to sit down and reflect upon the joys of life. I think we can all relate to Sora and Riku, and heck all of them. Each individual character of KH has a place in my heart, just like my friends and family do. Thank you for these words cutsceneaddit. It really made my day. Yeah, so much for having lives. You did a fantastic job writing this article you outlined alot of the same lessons that The Kingdom Hearts series has taught me. I really like the point you make about how even though Xion was a nobody, and even though she was never meant to exist she has a big influence on Roxas, and Axel/Lea as well. Also the point that you make about how love overcomes all is another great lesson that the series has taught me. I would also like to add something that the series has taught me, which is that even through the darkest of times and the hardest of trials that you never give up and you never lose sight of your goal. In kingdom hearts 1 Sora sets out to find his friends but he is faced with many challnges from Xenhanorts Heartless and the heartless. Nonetheless he presses on to find his friends. Even when Riku his best friend turns on him and donald and goofy abandon him sora doesn't lose hope. Kingdom Hearts has taught alot of people alot of things, and i'm sure that as the series continues and new people get into it, it will continue to teach others as well. Great job on doing this, I also feel that this game (and many others) are part of my life. I really don't know who I would be without them. Makes me wonder. Wow. Thank you all so much. I am blown away by the response that my article has been receiving. Thank you. Just knowing that I've made someone's day, inspired someone... that's the best reward of all to me. :biggrin: You guys are too amazing. Thank you from the bottom of my heart. I'm glad to be able to share my personal experiences of Kingdom Hearts with all of you. this is one of the best things iv read in a long time.everything you talked about is completly true,and i coundn't stop reading it.one thing i learned from the Kingdom Hearts series is that no matter what happens,you'll always find your true friends,and to never give up.